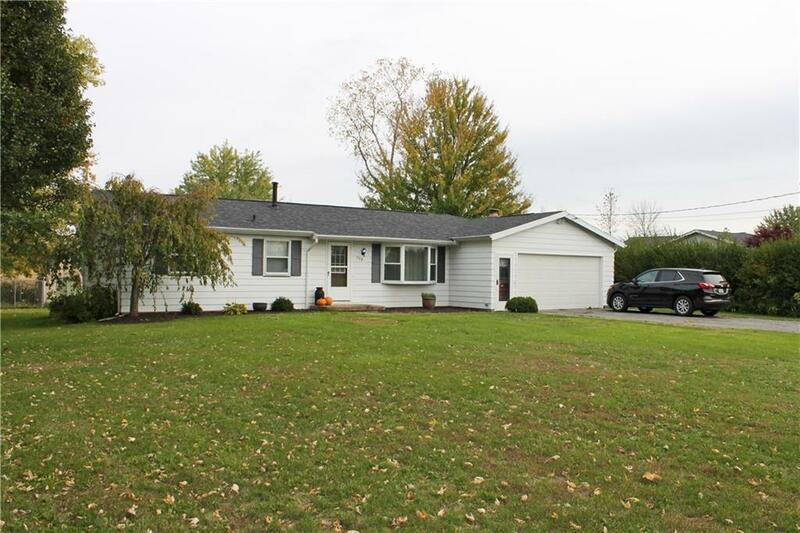 Welcome to 798 Hamlin Parma Townline Road! A spacious 3 bedroom ranch set on a beautiful half acre lot. Super Cute & Cozy - Country living at it's finest! Full Tear off roof, less than 5 years old. High Efficiency Furnace with central air. Eat in Kitchen, all appliances included. Wood burning fireplace in living room, ready to be enjoyed this winter. Pressure Treated Deck overlooks the back yard. Oversized 2 car garage plus a shed provide abundant storage. Qualifies for USDA Lending! Hilton Schools! Directions To Property: West On Losp To Hamlin Parma Tl Rd. Nearest Cross Street: West Ave.